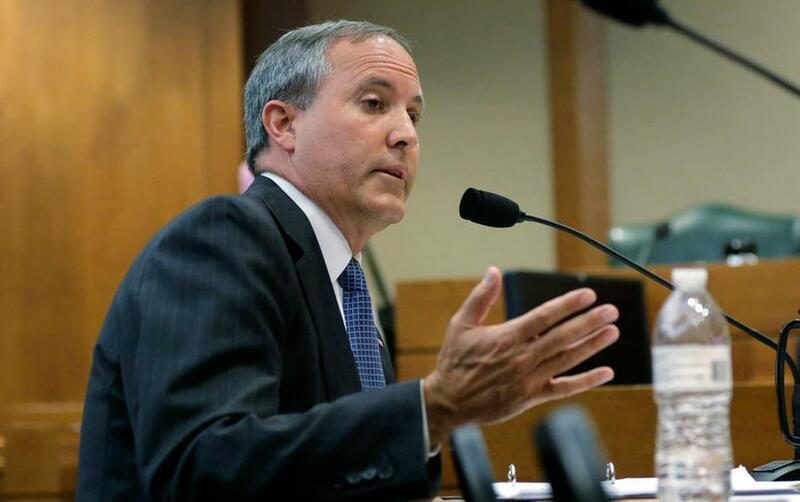 Texas Attorney General Ken Paxton speaks during a hearing in Austin, Texas. Federal securities regulators have filed civil fraud charges against Paxton, Monday, April 11, 2016, over recruiting investors to a high-tech startup before becoming the state's top prosecutor. AUSTIN, TEXAS (ASSOCIATED PRESS) — Federal securities regulators charged Texas Attorney General Ken Paxton Monday with four civil counts of fraud, piling on more legal troubles for the Republican already under criminal indictment for allegations that he deceived friends and wealthy investors — at least once with high-pressure tactics. The lawsuit filed by the U.S. Securities and Exchange Commission provoked new calls from critics that Paxton should resign but no immediate response from state Republican leaders, including Gov. Greg Abbott. Paxton, who has pleaded not guilty to two felony counts of securities fraud handed up by a Texas grand jury last summer, has said he won't step down and has faced no public pressure from state leaders to do so. But questions about his private financial dealings have made for a tumultuous first 16 months on the job. The new federal lawsuit essentially mirrors the charges in Paxton's criminal case — that he defrauded investors in a high-tech startup called Servergy Inc. — but provides a far more detailed narrative of Paxton's alleged misdeeds than what has previously been made public. The SEC describes how Paxton allegedly betrayed a friend, raised $840,000 and pressured one investor to make a "hasty decision" to immediately invest, thereby increasing the value of Servergy stock that Paxton received as commission. Paxton's investor recruiting took place in 2011, when he was still a state legislator. SEC investigators say Paxton claimed he planned to invest $100,000 of his own money into Servergy but that company founder Bill Mapp refused. The lawsuit alleges Paxton said Mapp told him, "I can't take your money. God doesn't want me to take your money." Paxton claimed he accepted Servergy shares as a gift, according to the lawsuit. But both state prosecutors and now the SEC accuse Paxton of never telling investors Servergy paid him to raise money. The investors wouldn't have invested had they "known Paxton was being paid to promote the company," the lawsuit reads. Those same allegations led to Paxton's indictment in his hometown and facing a possible sentence of five to 99 years in prison if convicted. 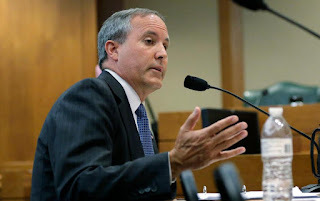 By filing a civil lawsuit, federal regulators aren't seeking prison time but instead want Paxton to pay back "any ill-gotten gains or unjust enrichment" and be ordered to pay additional financial penalties. SEC investigators allege that one investor considered Paxton "a personal friend" and believed that Paxton was also investing in the company. According to the lawsuit, that investor "grew worried" when promises about product shipment failed to materialize, and that Paxton "did nothing" to determine whether those company milestones were true. Paxton attorney Bill Mateja said he was surprised the SEC chose to file the charges a year after Paxton's criminal indictment. "Like the criminal matter, Mr. Paxton vehemently denies the allegations in the civil lawsuit and looks forward to not only all of the facts coming out, but also to establishing his innocence in both the civil and criminal matters," Mateja said. The Texas Democratic Party, which hasn't won a statewide office in more than two decades, said in a statement that "enough is enough" and again called for Paxton to step down. A spokesman for Abbott, who was Texas' attorney general for 12 years before becoming governor, did not immediately return a message seeking comment. Paxton took office in January 2015 with strong tea party support. A year earlier, Texas Sen. Ted Cruz, now a GOP presidential candidate, called him a "tireless conservative warrior" as Paxton trounced a moderate Republican challenger on the way to becoming Texas' top law enforcement officer. During a heated GOP primary race in 2014, Paxton admitted to breaking state securities laws by not disclosing how he received commissions for referring his private law clients to a financial planner. He paid a $1,000 fine, downplayed it as an oversight and went on to handily beat an establishment Republican who counted former President George W. Bush as a supporter. A Dallas state appeals court is scheduled to take up the criminal indictments next month. This story has been corrected to reflect that the company name is Servergy, not Severgy.